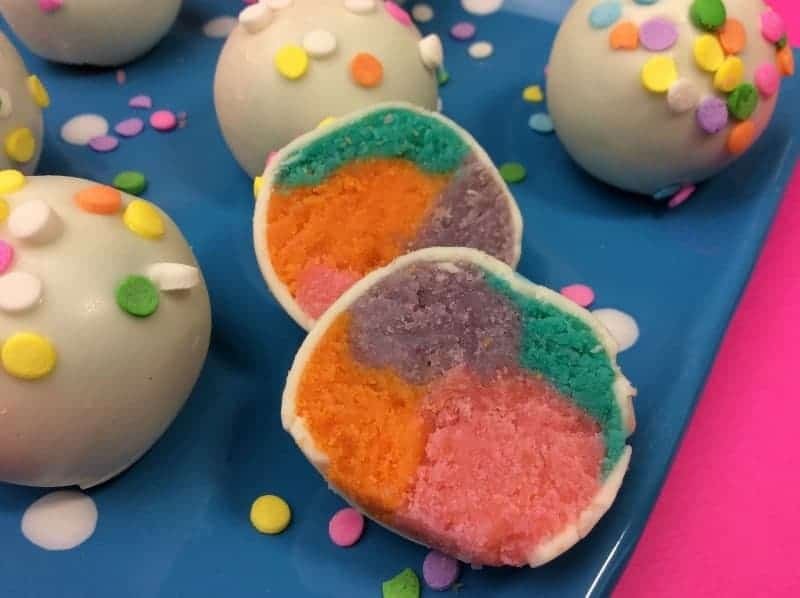 This Rainbow Cake Balls Recipe is super fun and sure to surprise everyone when they take a bite and see the hidden rainbow inside each one. I have to tell you that I am SO excited for St. Patrick’s Day this year! 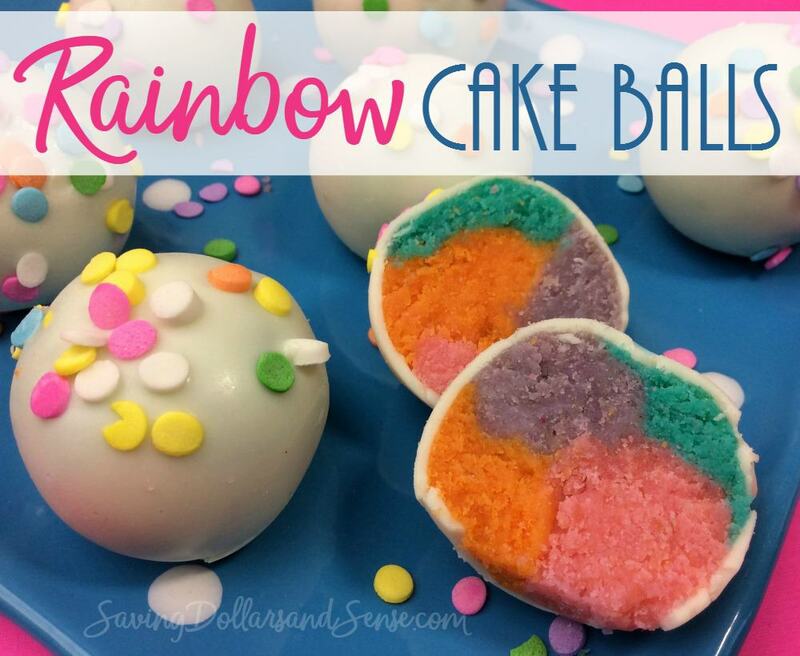 This rainbow cake balls recipe would make a fun treat to celebrate the day with family or friends. If you’ve never made cake balls before, let me warn you…this is a bit of a labor of love. It does take some time to complete all of the steps, but the end result is SO worth it! Everyone will be ooohing and ahhhing when they bite into these rainbow treats! 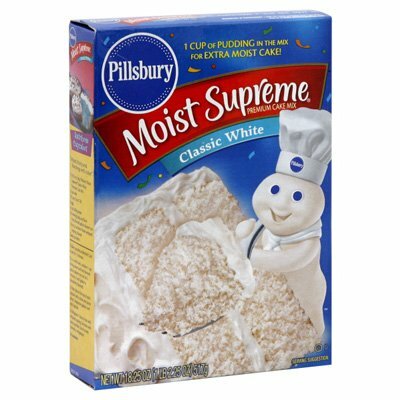 Make the cake batter according to the cake mix box . 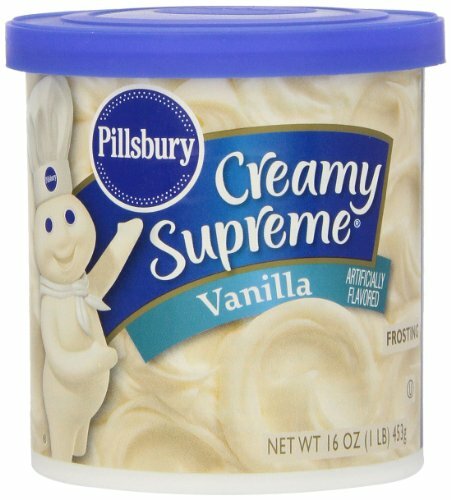 Split the batter into 4 bowls. 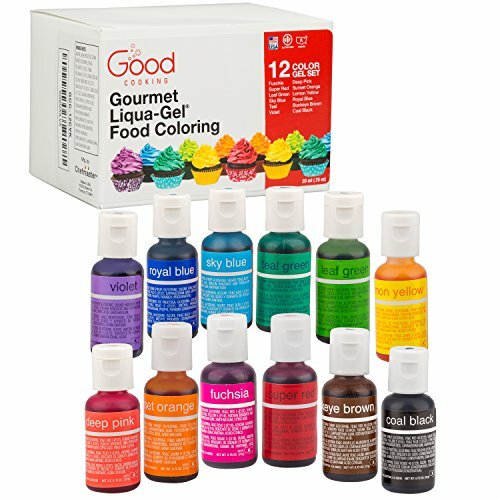 Add 1 drop of gel food coloring into 1 of each bowl. Scoop each color into 1 cupcake liner, 3 liners per color. 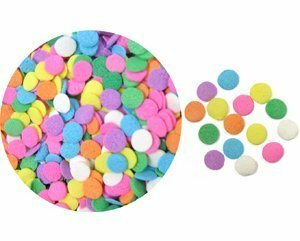 Place each color of cupcakes into their own bowl, paper peeled off and crumble the cake. 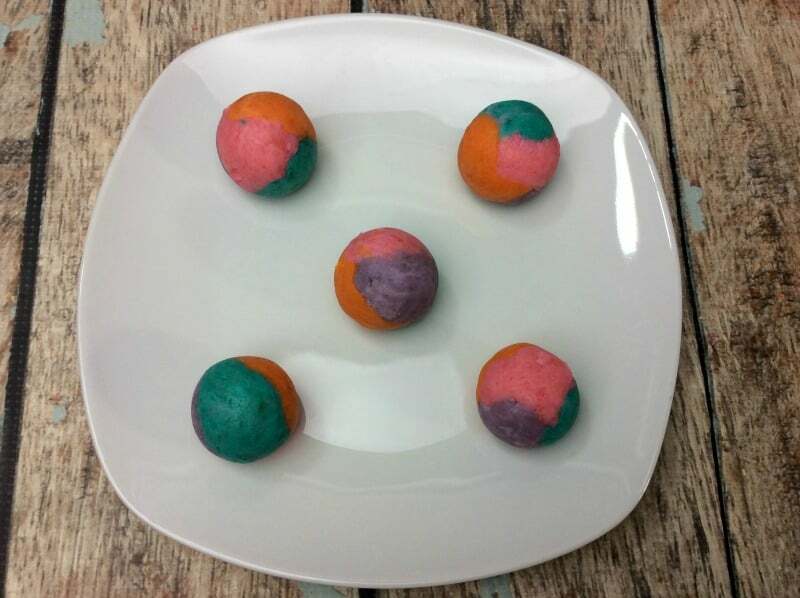 Take a small spoon and scoop some of each of the colored cake mix and mold together into a ball. Continue until all cake mix is formed into balls. Place onto a plate and place into the freezer for 30 minutes until solid. Using a double boiler , melt the white chocolate. Pull out the cake balls and set onto the counter next to the melted chocolate. Take cake pop stick and dip one end into the chocolate, push the cake pop stick end with the melted chocolate into cake ball. We like to use a floral foam to place our cake pops in as they harden. 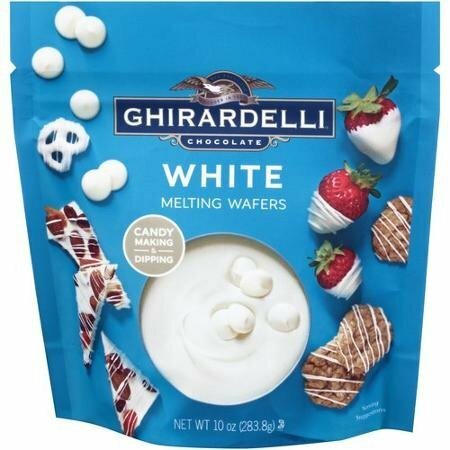 Place back into the freezer until chocolate is hard. Pull cake balls back out and dip into the melted chocolate. Lightly tap the stick onto the edge of the pot with the melted chocolate so that the extra chocolate falls off. Push bottom of stick into the floral foam block to hold the stick. Sprinkle some confetti sprinkles on top of the cake pop. 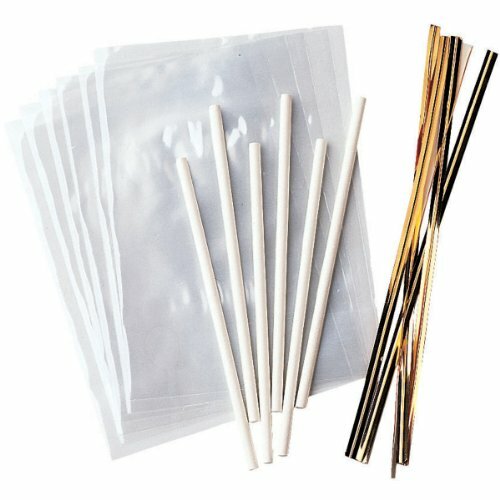 Once the chocolate is hardened, slowly pull out the sticks for cake balls or leave in for cake pops – Enjoy!